I can’t believe this picture is almost a month old at this point. Sorry about the lack of posts the past few weeks, hoping to get back on the horse. Anyway, even though I had this fantastic plate of Fiddlestix food on St. Patrick’s Day, I can still remember how fantastic it was. 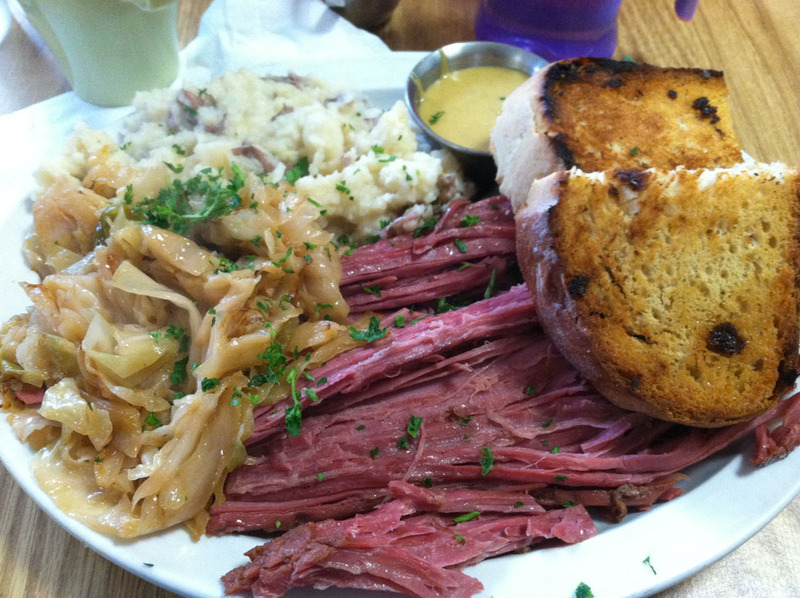 If memory serves you’ve got corned beef, braised cabbage, mashed potatoes (possibly with horseradish?) and Irish soda bread that was quickly cooked or warmed on the stove. I can’t remember exactly how it was prepared, but there was something special about the corn beef. Maybe it had Guinness involved? I think that might have been it. Anyway, this is what I think of when I think of amazing corned beef. I’d love to see this meal on the regular menu which is made all the better by that delightfully crisp soda bread!